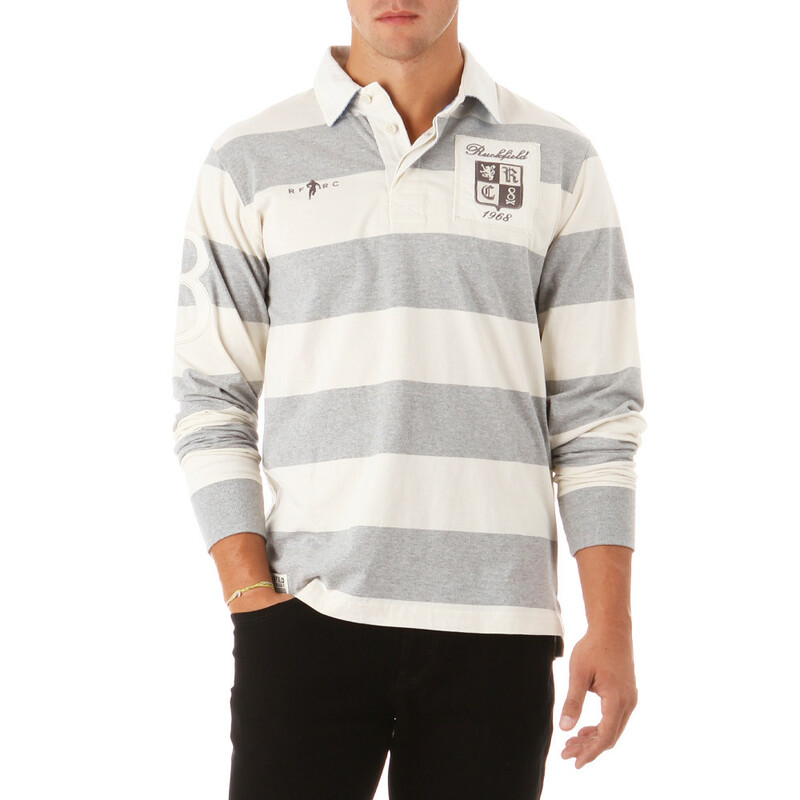 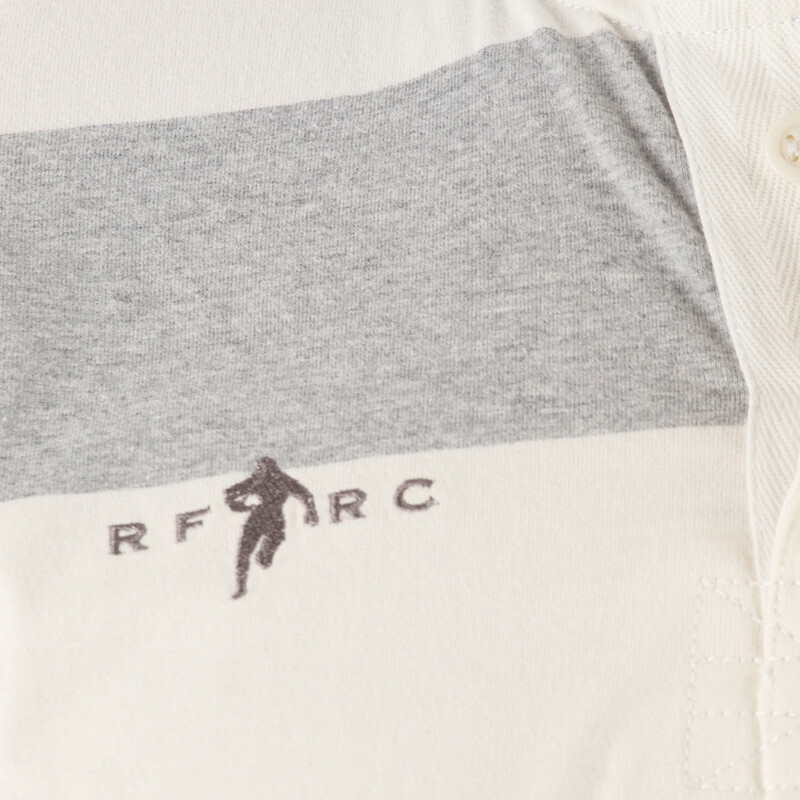 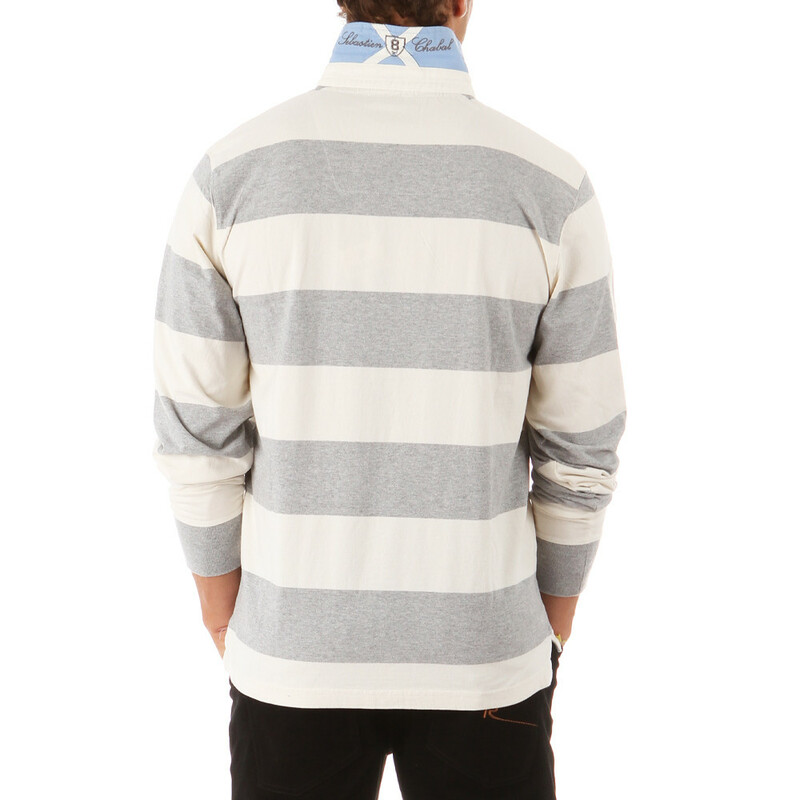 100% cotton grey/ecru stripe long-sleeve rugby polo shirt. 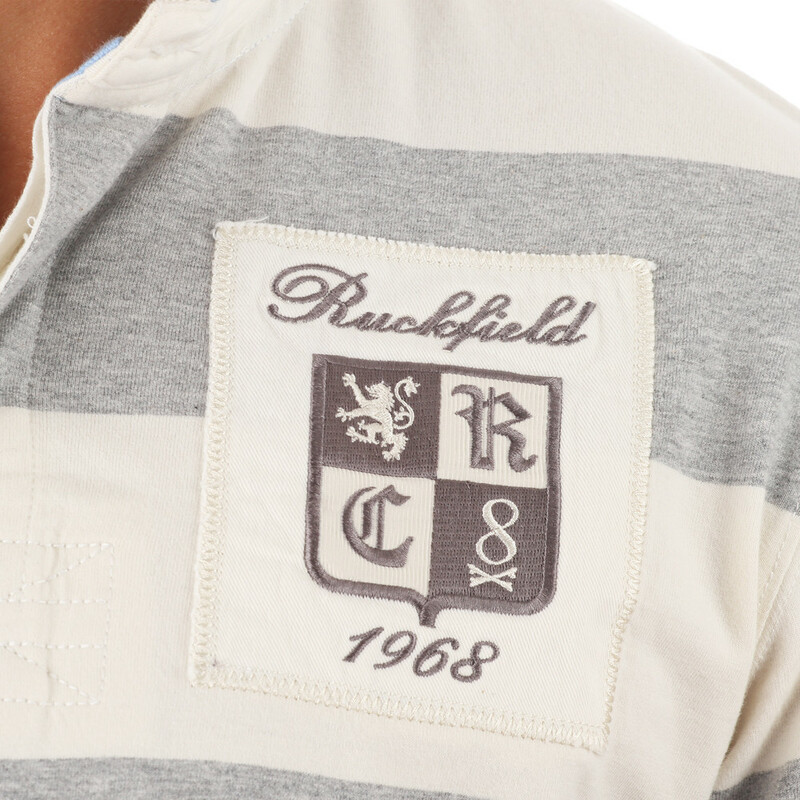 100% cotton grey/ecru stripe long-sleeve rugby polo shirt. 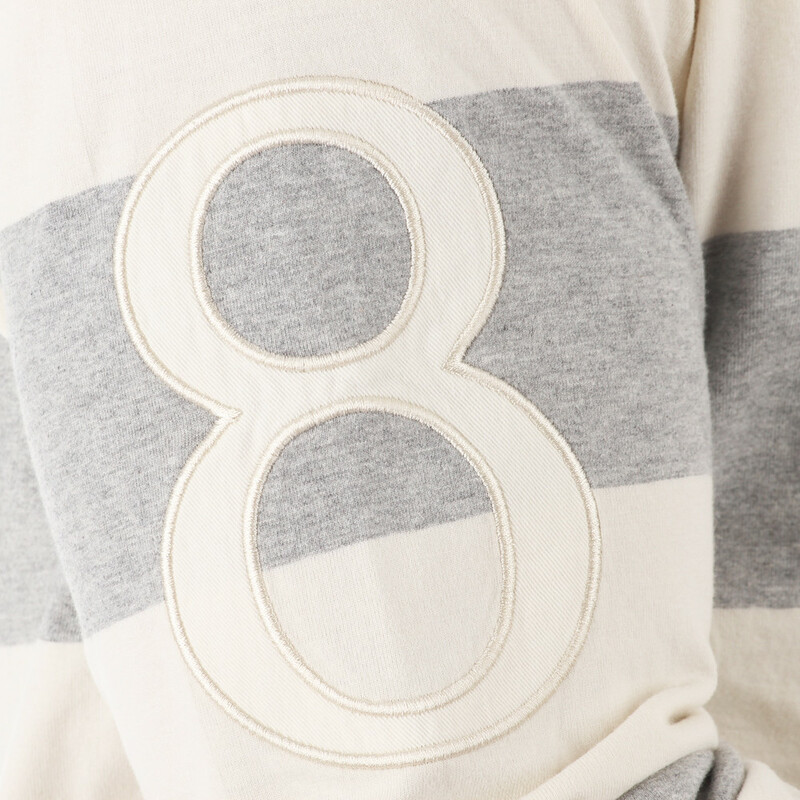 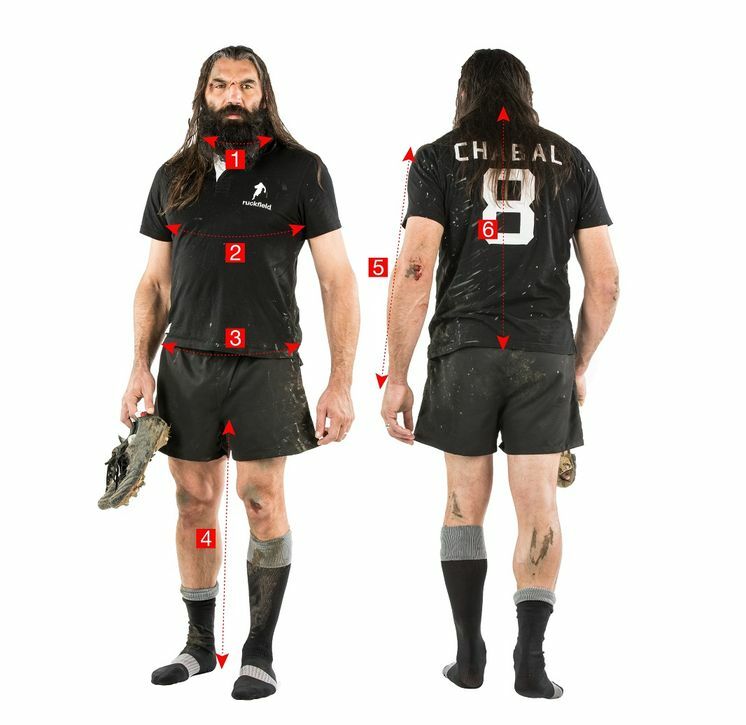 Embroideries and badges on the chest and sleeves. 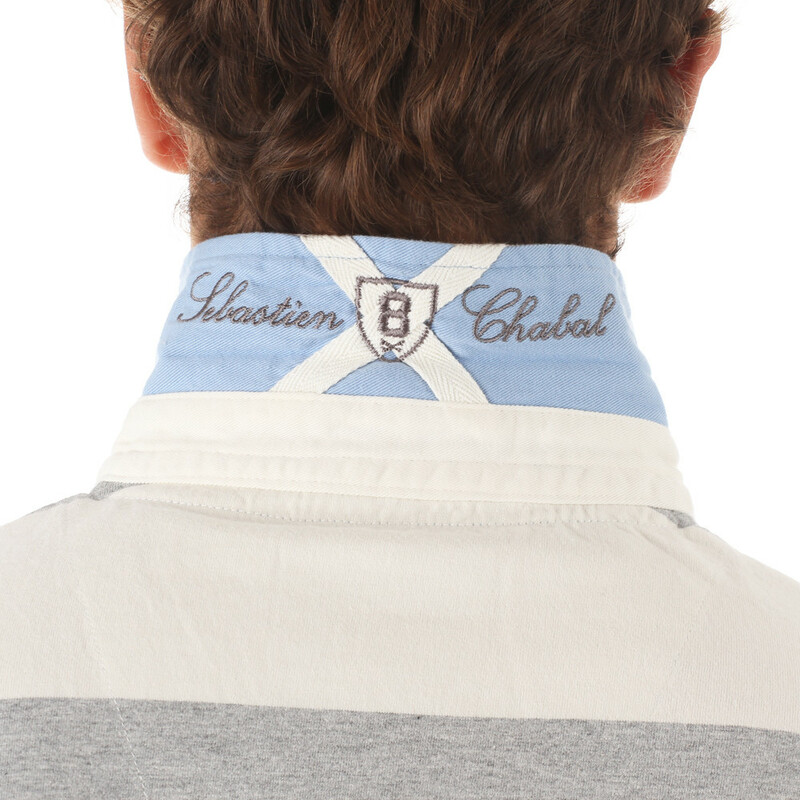 Sky blue and white contrasts on the back half-moon and the inside neckband.